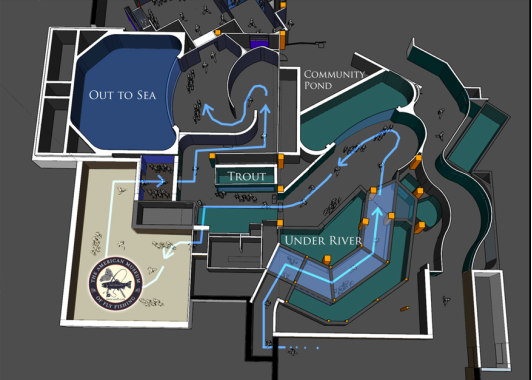 Officials from the American Museum of Fly Fishing in Manchester, Vermont, together with noted conservationist and Bass Pro Shops founder Johnny Morris, today announced plans to establish a new permanent exhibition as part of Johnny Morris’ Wonders of Wildlife National Museum and Aquarium in Springfield, Missouri. Fifty years after its founding, the American Museum of Fly Fishing will join several prominent conservation organizations that have created galleries within the massive not-for-profit conservation attraction located in the heart of Missouri’s Ozark Mountains. The American Museum of Fly Fishing is dedicated to preserving the rich heritage of fly fishing. Established in 1968 by a group of passionate and enthusiastic anglers who believed the history of angling was an important part of American culture and tradition, the Museum was created to research, preserve, and interpret the treasures of angling history. Today, the Museum serves as a repository for the world’s largest collection of fly fishing and angling-related items including more than 22,000 flies; 1,400 rods; 1,200 reels and more than 700 prints and paintings. With artifacts dating back as far as the sixteenth century, the expansive collection documents the evolution of fly fishing as a sport, art form, craft and industry in the United States and abroad. A significant portion of the Museum’s rich collection of articafts, many of which will be publicly displayed for the first time, will fill the all-new and expanded gallery within Wonders of Wildlife. 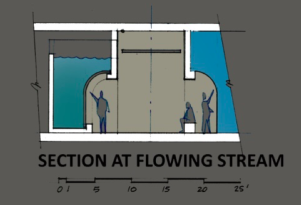 The display will feature a dramatic new “under-the-river” walkthrough aquarium featuring a flowing trout stream enveloping guests as they enter the new space. The goal of the partnership is to expose future generations to fly fishing. The potential to reach a significantly wider audience and inspire new generations to discover the sport was a key motivation in the board’s decision to form a partnership. Located in the heartland of America within a day’s drive for half the population, Wonders of Wildlife welcomed 1.6 million visitors in its first year alone and has been voted as “America’s Best Aquarium” and “America’s Best New Attraction” by USA TODAY readers. The American Museum of Fly Fishing joins an extraordinary collection of exhibits and galleries that showcase national conservation organizations within a single “must-see” destination experience – telling the story of hunters and anglers conserving wildlife and the outdoors. Other partner galleries include the International Game Fish Association (IGFA) Fishing Hall of Fame, National Bass Fishing Hall of Fame, Boone and Crockett Club’s National Collection of Heads and Horns, the NRA National Sporting Arms Museum, National Audubon Society, and the National Archery Hall of Fame. The announcement marks the third significant expansion for Wonders of Wildlife since its grand opening in September 2017. In addition to the immersive Penguin Cove exhibit that opened in December 2017, the Museum is constructing a 10,000-square-foot exhibition hall to host the Windland Smith Rice International Awards and its annual Nature’s Best Photography exhibition.